The Ruffolo Award was established in 2011 in recognition of the contributions made to drug discovery and development by Dr. Ruffolo. The award recognizes the scientific achievements of scientists who are at the height of their careers and who have made significant contributions to pharmacology. Dingledine is being recognized for his research achievements on the pharmacology of glutamate receptors and the causes of epilepsy, including his earlier work that provided seminal insights into the regulation of postsynaptic glutamate receptors. Some of these findings led him to co-found NeurOp, Inc., a company focused on novel therapeutics for neurological disorders. His recent work has led to the identification of novel EP2 prostaglandin receptor antagonists capable of reducing neuro-inflammation, with these studies revealing diverse immunomodulation pathways in epilepsy. Dingledine received his PhD in pharmacology from Stanford University in 1975. He did postdoctoral training at University of Cambridge, UK and University of Oslo, was on the faculty of the University of North Carolina, Chapel Hill, and conducted research at the Salk Institute. In 1992, he joined Emory’s Department of Pharmacology as chair, a position he held for 25 years. As executive associate dean for research in Emory School of Medicine from 2008-2015, he improved basic, translational and clinical research programs and developed novel metrics of research success and faculty recognition. An ASPET member for 35 years, Dingledine received the ASPET Epilepsy Research Award in 1991 has served as editor of Molecular Pharmacology and on the editorial board of Molecular Interventions. 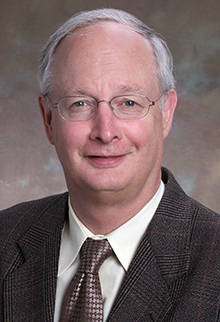 He was elected chair of a national network of 10 NIH-funded small molecule screening centers and co-founded a high-throughput screening facility at Emory. He has consulted for several major pharmaceutical companies and has published more than 200 research papers. He has served in leadership positions for the Society for Neuroscience and chairs the Program Advisory Committee of Morehouse College Neuroscience Institute. In 2010, he was elected to the National Academy of Medicine (formerly Institute of Medicine). Internationally, Dingledine was instrumental in arranging for an Emory research program for medical students in Xiangya College of Medicine, serves on the Research Training Committee at Addis Ababa University, and has fostered other international partnerships with Emory.